The need to get rid of unwanted hair has always led people to trying different types of hair removal methods. But not everyone ends up getting the kind of results they would like to have. Some methods are not only unreliable but may also be extremely uncomfortable, painful or even lead to unwanted results like skin reactions and infections. Shaving, waxing or tweezing for removal of unwanted hair does not produce results that makes everyone happy. At least not for the long-term because hair will always re-grow and these treatments have to be frequently repeated. You can definitely expect some long-term undesirable skin looks as a result of relying too much on such methods that repeatedly keep traumatizing the skin. The reason why men and women consider hair removal in the first place is to improve their skin appearance, so it’s always a nice idea to go for methods that can produce more reliable aesthetic results for the long term. Instead of repeatedly relying on methods of removing unwanted hair with results that don’t last or can potentially cause skin injuries and infections, why not consider advanced methods that can get rid of that unwanted hair permanently? That’s precisely the reason why many people in Singapore are now interested in permanent super hair removal. What mostly happens with super hair removal treatments is a permanent reduction of hair growth on targeted areas. A certain number of treatments are therefore required in order to achieve results that can last for years. Definitely that’s more helpful for people that get more unwanted hair rapidly growing and making it difficult to keep with the time demands of temporary hair removal methods. Many clinics in Singapore today offer a variety of super hair removal treatments that work for a wide range of skin types. Experimentation with laser hair removal is something which had been done for about two decades before commercial use began in 1990s. Laser devices emit light pulses that have to match certain wavelengths and pulse durations to selectively target certain tissues such as melanin in hair follicles, for safe removal without affecting any of the surrounding tissue. That process is technically known as selective photothermolysis or SPTL in short form. Laser light if in the correct speed and intensity is absorbed by dark matter such as melanin in the hair follicles. The laser energy therefore heats up the hair follicles selectively to destroy them and stop further hair growth in the treated area. 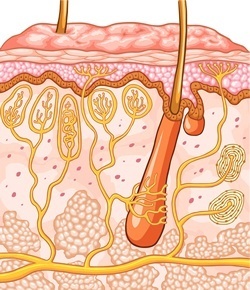 The surrounding skin tissue in that area is not interfered with since lasers used correctly for hair removal treatments work by causing controlled damage localized to the hair follicles. Different technologies for permanent hair removal are currently available for use at various clinics in Singapore. Their efficacy varies depending on various factors that you should understand in order to make the right choices if you would like to get treated to remove unwanted hair. Some machines are much more effective for permanent reduction of hair growth than others. The latest technology based models of laser machines tend to do a much better job in producing satisfactory results for patients in Singapore clinics. Laser devices that consumers use for self-treatment purposes usually have much lower levels of efficacy. Even at the clinics with most advanced permanent laser hair removal machines, efficacy also depends on an operator’s experience level. So it’s always a nice idea to check out for reliable testimonials and reviews for different clinics from patients that have received their services. That could give you the best clues on the type of laser machines they use, the best technicians or operators and the level of treatment efficacy to expect. The main types of machines that you can expect to find in Singaporean clinics include the following. IPL and SHR are among the most effective laser treatment technologies you can find in Singapore today. SHR was invented in Israel by Alma Lasers. It is currently the best laser technology with the highest efficacy for hair removal. Among the top advantages of getting treated with SHR has to do with its higher level of safety and pain-free removal of unwanted hair. During the super hair removal treatment, you will only feel the kind of warmth you get from a massage and some tingling effect. There is not pain with SHR because it targets hair follicles with low joules of heat energy that are fired in multiple shots. Conventional IPL laser systems are still reliable in terms of their effectiveness and safety, but only have a few limitations. The speed is slower with IPL and the short impulses used bombard your skin with more joules of energy. IPL has its heat transported to the root of hair follicles only through melanin, but SHR transports its lower joules of energy both through melanin and the skin. But an SHR device has to be moved over the skin being treated multiple times considering it uses lower amounts of joules. Research has found out that permanent hair reduction is better achieved with a slower but longer process of heating. So that is what makes SHR much better than traditional lasers or even IPL. Lasers are more effective for hair removal and you can have them used on virtually anywhere on your body you don’t want hair growth. In Singapore, laser treatments are performed by trained specialists to ensure great levels of safety and efficacy. You can only expect temporary side effects such as skin inflammation or sunburn feeling that can be easily managed with creams, moisturizers and cools compressors. SHR uses low heat settings and is therefore safest with no need to hide from the sun after treatments. Generally, all laser treatments have the advantage of selectively targeting the dark melanin from hair follicles without damaging surrounding skin. Skin tightening is a long term benefit associated with laser treatments. Such an additional benefit on top of hair removal leaves you with a very smooth youthful looking skin. You can choose an aesthetic hub in Singapore today to reap all the benefits associated with hair removal using state-of-the-art laser technology systems.